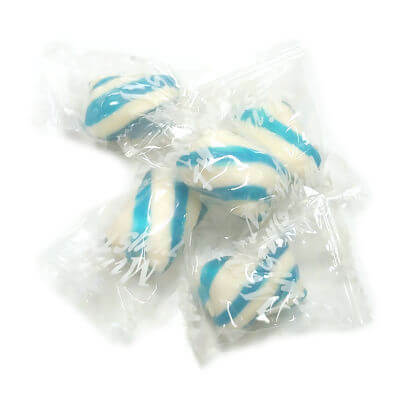 Individually wrapped light blue and white peppermint twists. Made in USA. OU Kosher. Approx. 6 twists per ounce and .625 inch by 1 inch. 1 pound bag.